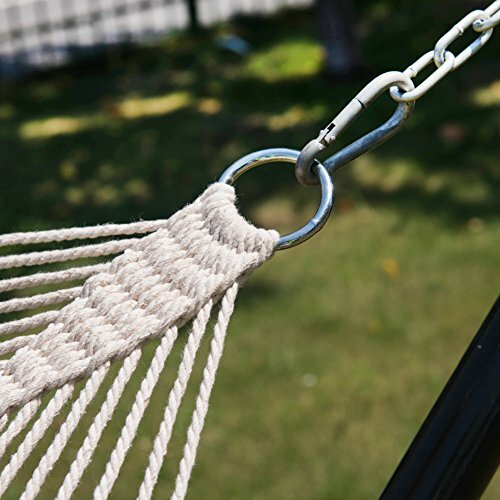 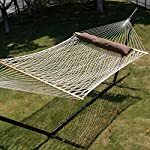 The cotton rope hammocks are 100% eco-friendly, soft-spun for comfort, and polyester rope hammocks are UV-resistant. 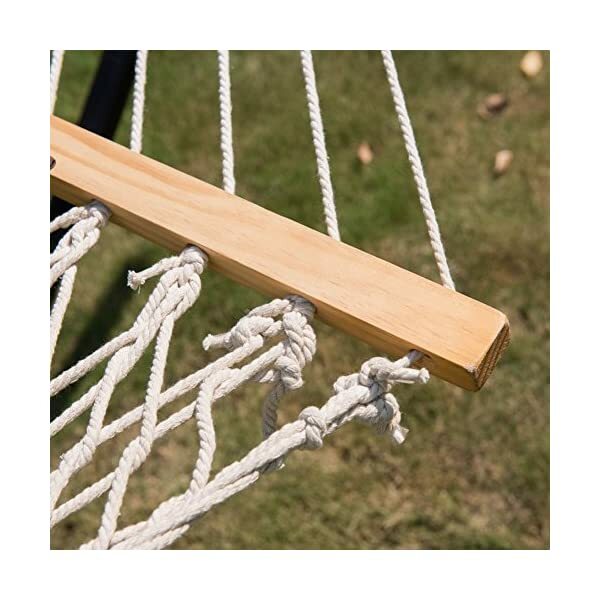 Both are hand-woven with rope twisting done manually by the hammock artisans. 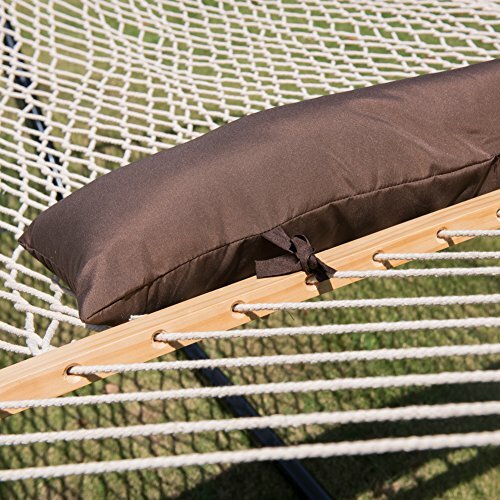 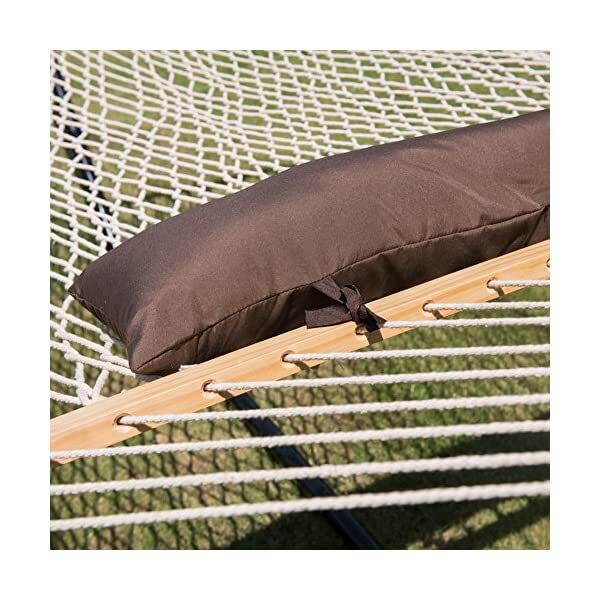 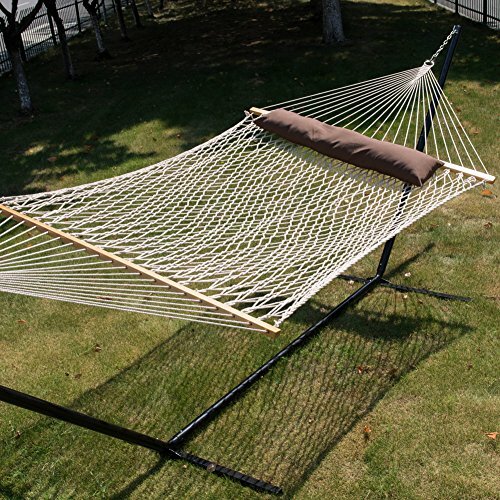 The bed of this hammock measures nearly 7 feet in length! 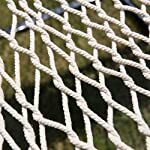 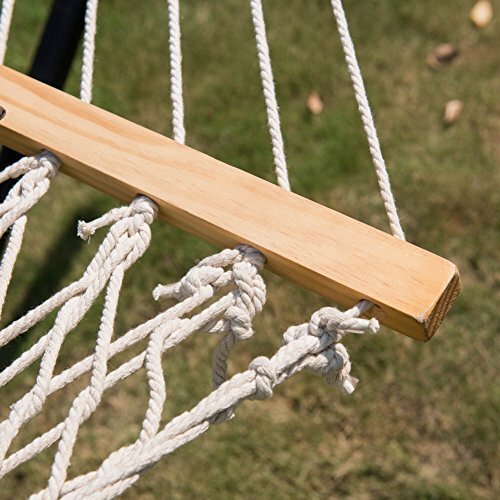 The thickest and most durable cord You’ll be able to find in the hammock industry. 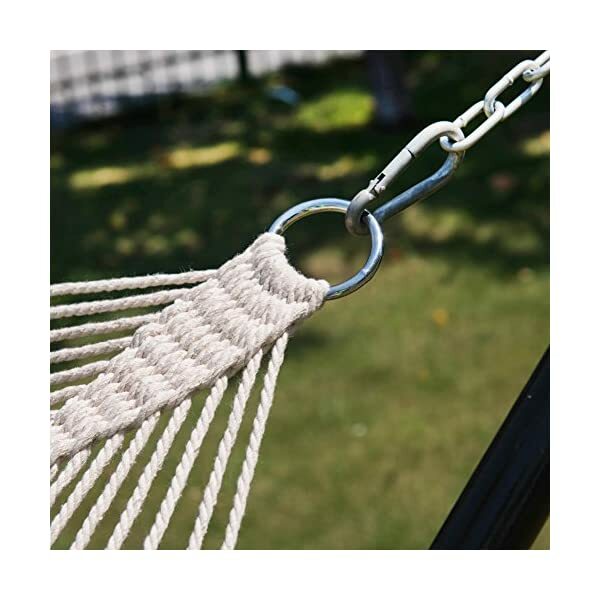 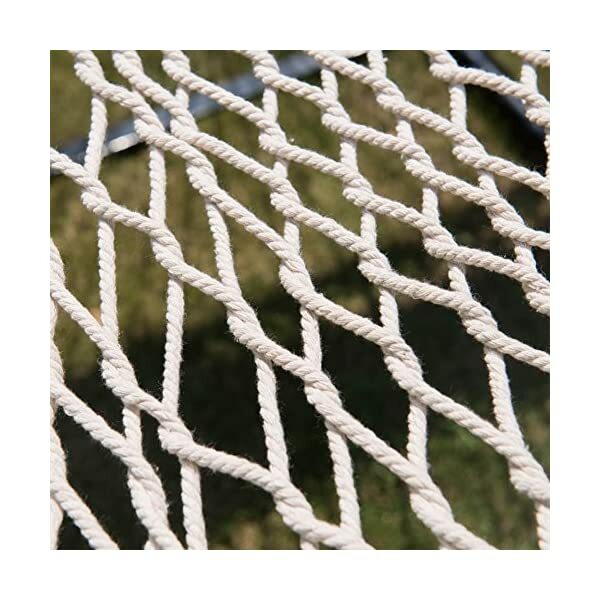 Our Island Bay rope hammock is made with 8mm rope, The extreme thickness makes the rope much harder. 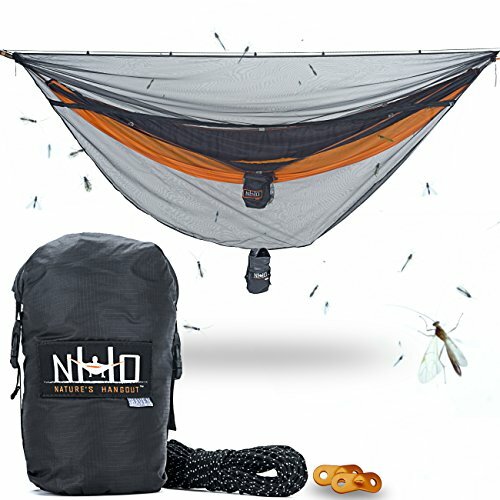 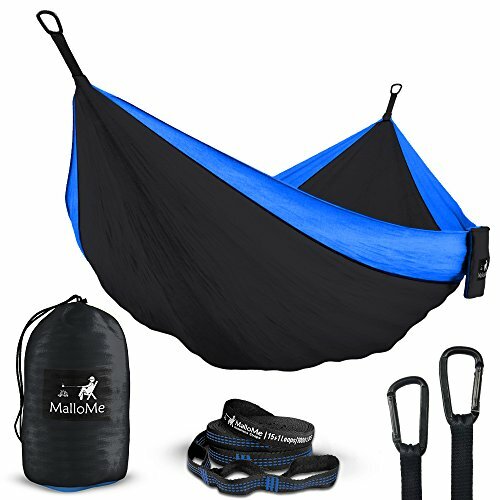 Brings you well-designed, authentic hammocks and accessories. 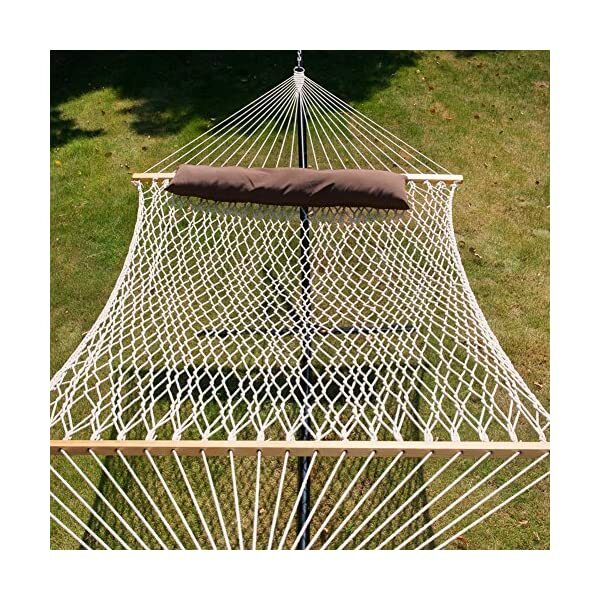 You’ll be able to find eye-catching colors and patterns, It is your world … chill out in the actual thing. 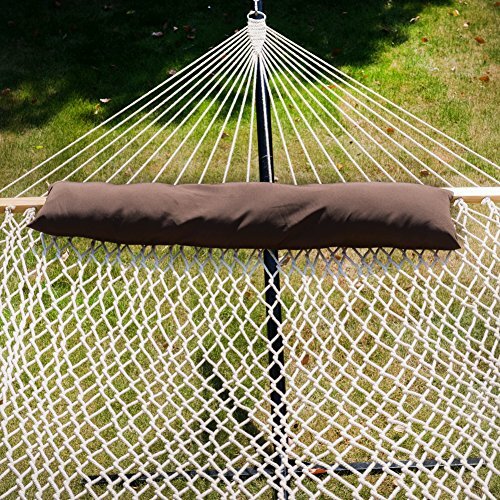 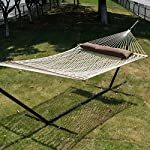 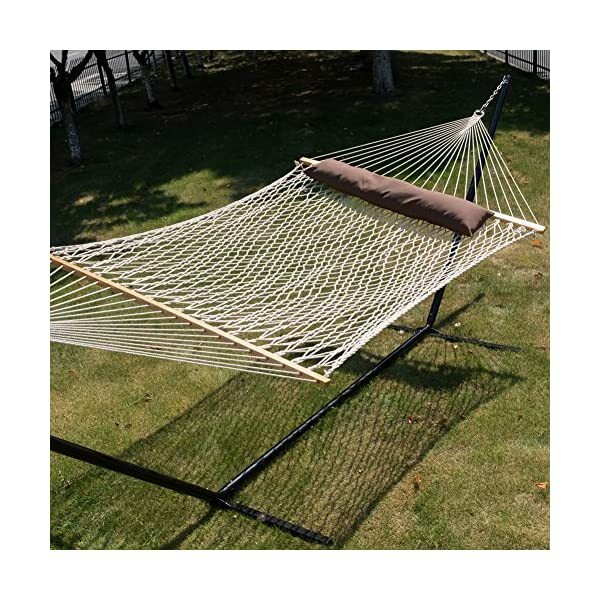 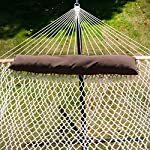 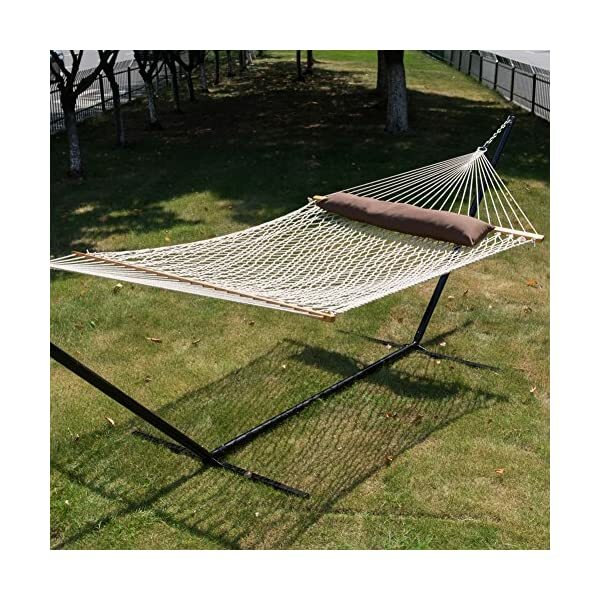 Hammock size:70″L x 48″W. 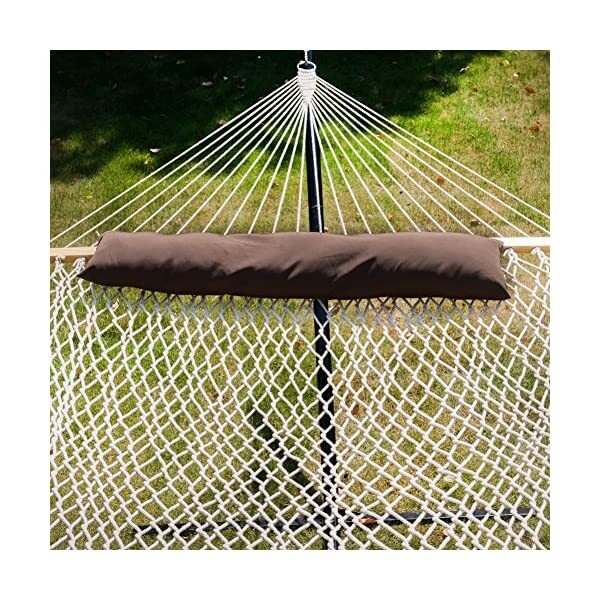 A lot of room for two adults. 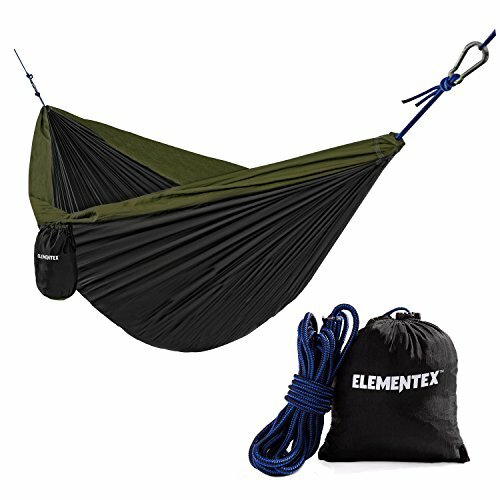 Max weight capacity of 450 lb. 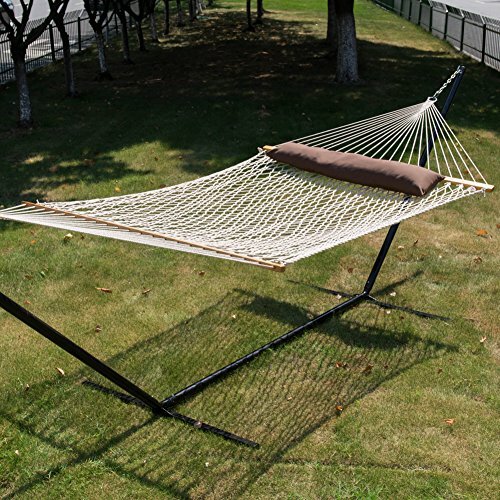 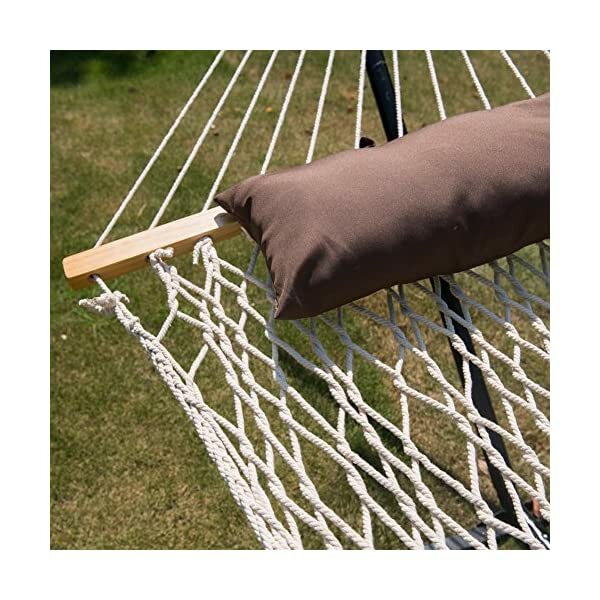 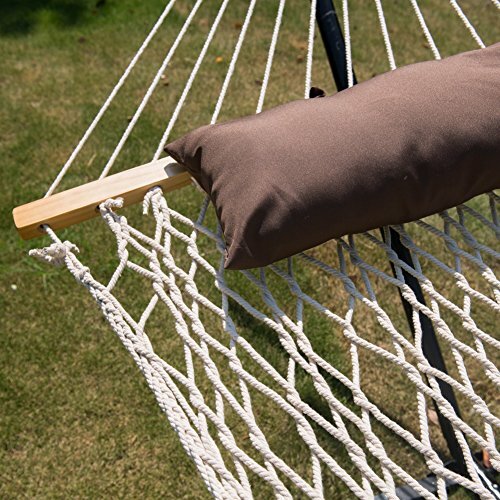 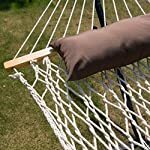 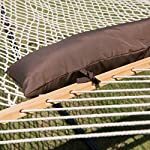 Extra hammock stands isn’t included. 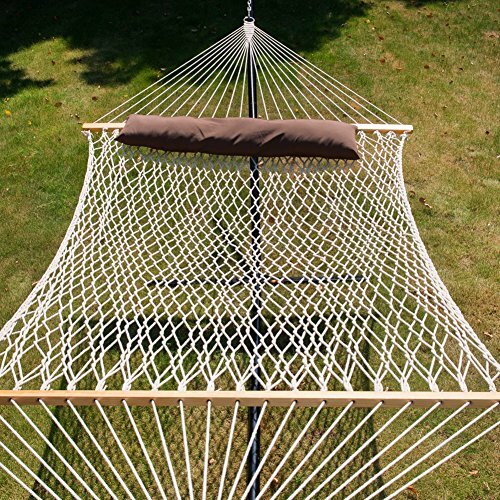 Advisable to make use of the 15 FT hammock stands.